So, heard about that Google Nexus 4 thingy from LG? O2 is the first UK carrier to announce it'll be carrying this year's winner of the "most-leaked smartphone" award, which was mercifully launched on Monday. So far, we've found the "phenomenal" quad-core, 4.7-inch, 1280 x 720 handset with virgin Jelly Bean 4.2 to be "better than the sum of its parts," and Google will be selling the phone sim-free for a non-exorbitant £239 at the Play store. That means you'll likely find the device free under contract, but your carrier choices may be limited to start, as O2's rumored to have a 30-day exclusive. There's no mention of price or availability, but Google's own sale date of November 13th seems a good bet. 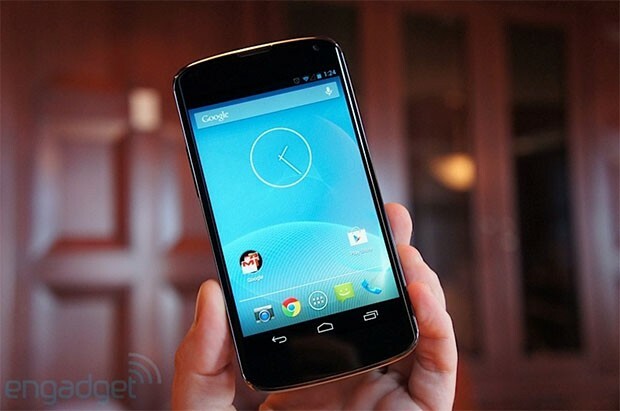 O2 first UK carrier to confirm LG's Google Nexus 4 originally appeared on Engadget on Wed, 31 Oct 2012 05:16:00 EDT. Please see our terms for use of feeds.